Finger Drums: Tap the drums and record your own beats. Touch-sensitive light-up drums with recording capability. If your skills permit, you can record your little ditty and play it back for your friends. 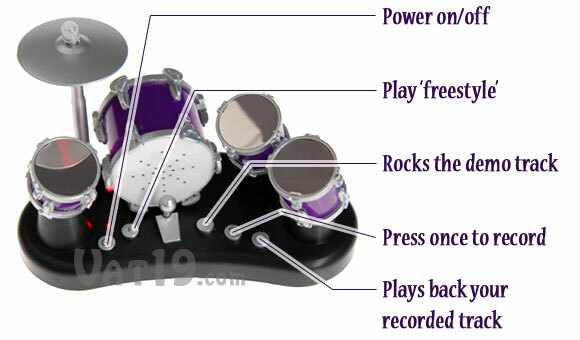 Also includes a "demo" button which shows you how awesome the Finger Drums can be...and how much more practice you'll need to become the next Keith Moon of the Finger Drums. Currently available in two colors: red and purple. Please note that graphic on the front of the kick drum has changed slightly since this video was made. 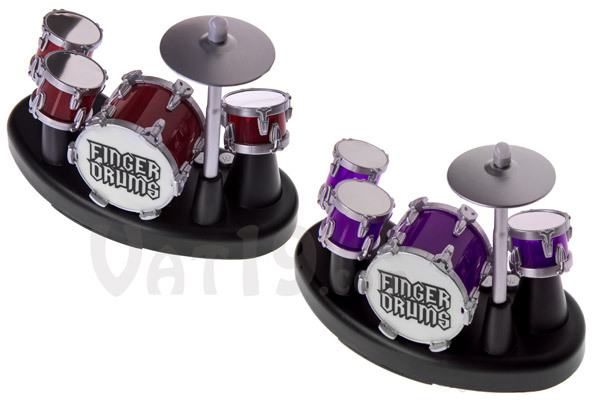 The Finger Drums tabletop drum kit includes a snare drum, cymbal, bass drum with foot pedal, and small and large tom-toms. Hitting any of these drums produces their respective sound through the Finger Drums internal speaker. If you think you're man (or woman) enough, you can try recording your own beats. Keep in mind that you can start rocking out as soon as your new Finger Drums set arrives. Batteries are included. 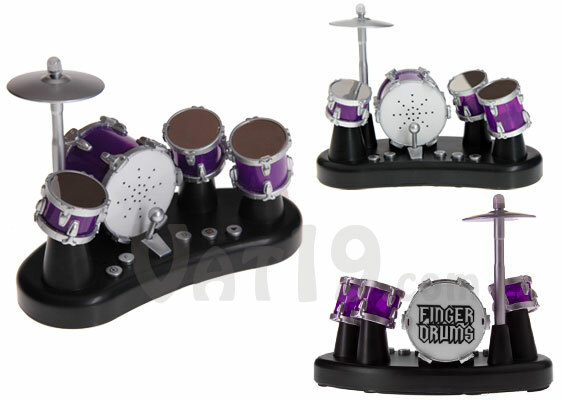 Finger Drums Electric Drum Set features five touch-sensitive drums. Just like real drums, it takes some skill to rock out on the finger drums. However, unlike real drums, you will not go deaf and drive away your neighbors in the process of learning on this tabletop drum kit. And because Finger Drums are so fun to play, practicing your Finger Drums won't be nearly as painful as all those childhood piano lessons. My name is Jamie and I'm a former flute player. When I say that, everyone in the Flautist Anonymous group is supposed to say, "Hello, Jamie." Then I take a deep breath and reveal my innermost, darkest secret. In the middle school band, I was the third flautist. This fact, on occasion, has showered me with unshakeable shame. Finger Drums can help ease some of the pain. They act like kryptonite to flutes, harps, and oboes. Nothing is more "rock star" than a tabletop set of drums. Because a tabletop-sized guitar just wouldn't really work. 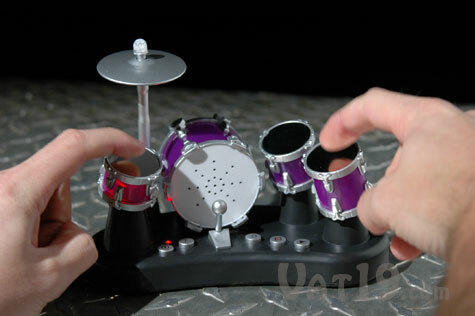 Rock out with the table-top electric drum set known as Finger Drums. 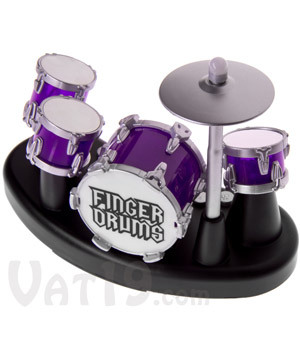 Finger Drums are currently available in two colors: red and purple. Choose between red and purple Finger Drums. Or don't even bother choosing and get one of each!